Research and Markets reported in 2015 that 2,600 companies operate over 12,500 parking venues and gross over $9 billion a year, a billion dollars more than 2012. Since then, parking market opportunities have continued to increase, of course due to problems like staggering rise in number of vehicles being used globally in major cities, time being spent to find a parking spot, hefty fines and vandalism. Parking app development is a solution to tackle all these problems with integration of cutting-edge technologies to custom mobile app development on Android and iOS platforms. It allows users to book a parking spot and helps users to spot along with mapping technology to save time. Popular parking slot booking applications like ParkWhiz and Spothero have been dominating the market with more than 500,000 downloads on Android alone individually. Have a look at the following stats which depicts market opportunities for parking app development, how chatbot can help businesses and the market presence of chatbots. What is needed to see off the competition? Business opportunities in parking space industry is huge. The good thing is that due to the market size, there is still an opportunity that entrepreneur can think of owning a parking slots booking marketplace. Innovation of an out-of-the-box solution and integration to the system is the key. Chatbot development is something that will help to be a standout performer in the pool of competitors. Chatbot system, given its benefits to the businesses, will be a revolution for the parking space marketplace platform. Why having a Chatbot system is the key for Parking businesses? Chatbot is nothing but an AI powered computer program that has been invented to replace human conversations. Chatbots can be multiple types- Flow based bots, Conversational bots and Virtual Assistant bots. Hire Chatbot developers from Let’s Nurture who are experts in developing custom chatbots depending upon the business requirements. Read More: How much would it cost to develop Chatbot System for online food delivery app like UberEats? 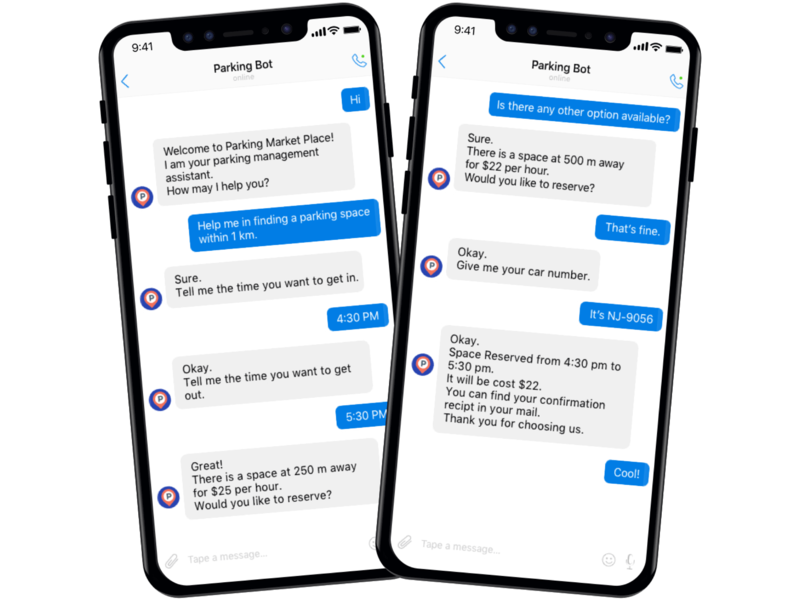 Looking to develop a Chatbot System for Parking Space booking marketplace? Parking marketplace app platform will just another Uber for parking app which will save time of the app users. Integration of a chatbot system will not only enhance the user experience, but also it will offer seamless solutions from a business perspective. Chatbot development brings advanced AI to drive the next generation of intelligent conversational interfaces. Chatbots will provide instant and accurate information whenever a users asks for available parking spaces. AI powered bots will gather the data of available parking slots in the area given and will provide options to the user for booking. Chatbots can also guide the user to complete booking process and go to the payment. Moreover, Chatbots will also help user to track and find the parking slot. Basically, it will offer the same conversational experience, anytime and anywhere. We, at Let’s Nurture, are experts in providing Chatbot development services to our clients who are looking to implement chatbot system on booking platforms. Hire chatbot developers from us who are experts in working with SMS API, Google Geocoding API, API.AI, NLP engine, etc. to create the best possible chatbot system which can be integrated with parking app development. 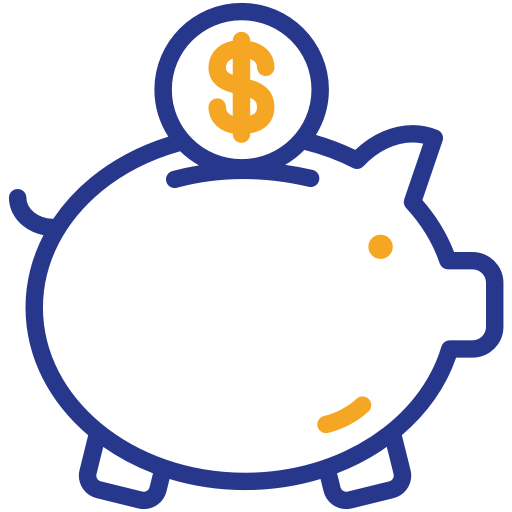 The estimated cost of developing Chatbot for parking space booking marketplace (parking app development) will be in the region of $3500-$5000. Let us have a look at the features users will be able to avail through Chatbot development in a taxi booking app. Messenger bots provide the exact information a user seeks in the best way possible. 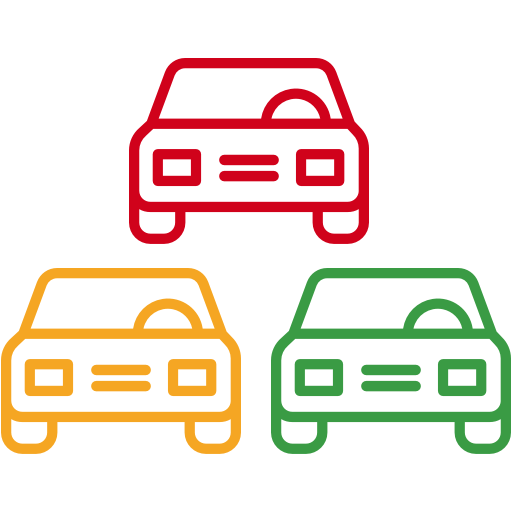 The parking slots information provided through bots will be reliable. Following are the benefits of implementing chatbots into a Smart parking solution like ParkWhiz and Spothero. Chatbots prevent sluggish booking processing and ensures smooth and timely information. Chatbots have the ability to handle multiple conversations simultaneously. Bots have capability of knowing booking patterns of regular customers increasing customer patronage. Complete traction of loyal customers in order to give promotional offers and discounts. 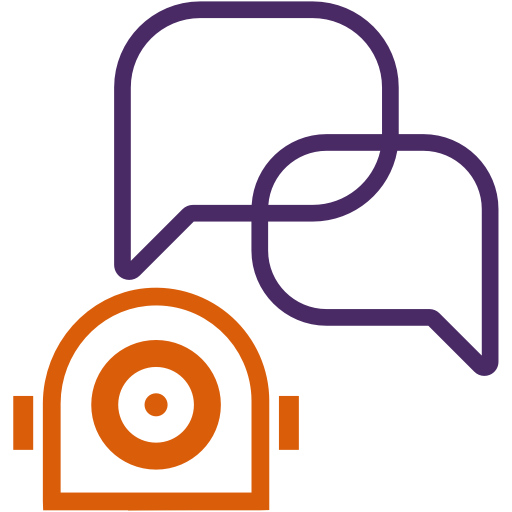 Bots ask for a feedback in a simple yet effective manner which will drive business forward by understanding consumer needs. Customer preference is restored before giving options about nearby parking lots. Why Let’s Nurture for Custom Chatbot Development for Parking App? Having delivered numerous projects on marketplace app development, our expert business analysts, project managers and developers are aware of the business models and business needs to come up with unique features and seamless UI/ UX deliverables. Can I integrate Chatbot with existing Parking marketplace mobile app platform? It is not mandatory to host the Chatbot on a separate server. We can develop and integrate the Chatbot to the same server that runs web or mobile parking marketplace app. 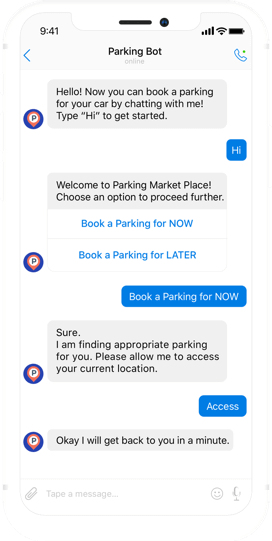 Which type of Chatbot should be integrated with my parking marketplace app? 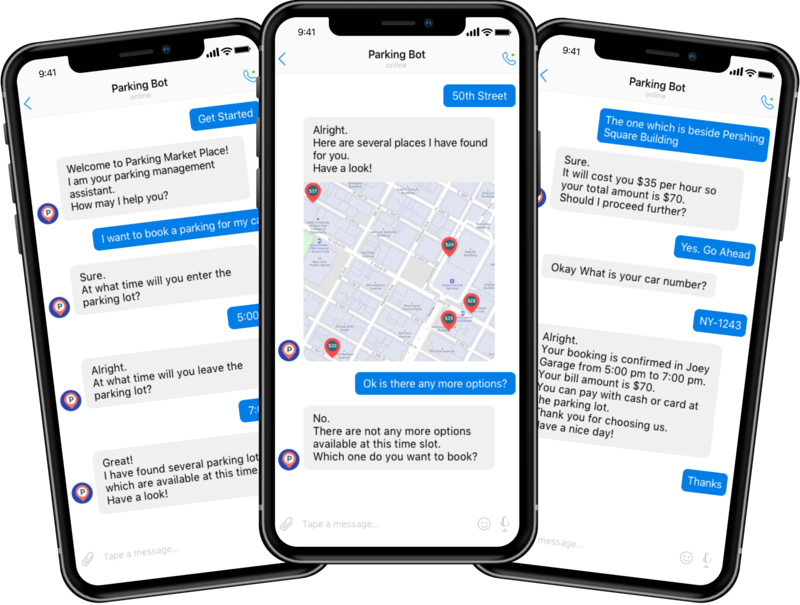 Converational and flow based Chatbots can be built and integrated with parking marketplace applications. Can you provide option to hire dedicated Chatbot developers for my Parking marketplace app development? Have an !dea or need help with Chatbot System for a Parking Marketplace App platform ?